Crowd-sourced meta-health writing: wish I’d thought of it first. A mate of mine has just obtained crowd-sourced funding to write a series of medical articles on the croakey.com website. This opinion series sponsored by individual payments will be an Australian first, if you don’t count John Laws and cash-for-comments. Sydney GP Dr Tim Senior used a crowdfunding website to find 165 supporters for his project ‘Wonky Health’, commissioning him to publish a series of 13 articles about meta-health. Actually, meta-health is a term I just invented, but I reckon it still makes more sense than the inscrutable ‘Wonky Health’. You missed a brain wave there, Tim. Meta-health is all about the story behind health issues, rather than the illness process itself. How will $7 co-payments affect poorer people; how will climate change affect health; how will $7 co-payments affect climate change? Actually, I doubt Tim will bother with that last one. But you get the idea. Modern medicine teaches us the causes of diseases. But what are the causes of the causes? What causes smoking? What causes junk food advertising? GPs would be well aware of the social determinants concept of health. Social determinants are what we blame when our doctor determinants seem to be doing bugger all. Because, let’s face it, most of a person’s wellbeing depends on factors outside our surgery door. Real life writes its own management plan and team care arrangements. This is never truer than in my chosen field of Aboriginal and Torres Strait Islander health. Learning about meta-health might help me step outside the door as an advocate, rather than just a clinician. So many things are beyond my reach. Lord, grant me the serenity to accept the things I cannot change and grant my practice accreditors the wisdom to know the difference. During our upcoming accreditation, I’m downloading one of Tim’s explanatory articles as my screensaver, set to kick in three seconds after they try to open my HbA1c stats. So be grateful to Tim and the Croakey blog for highlighting these social determinants. Or to me, for funding 1/165th of your complimentary article, you freeloader. Mind you, for my money I expect a few hand-picked topics: I slipped him a bottle of 1959 Grange to write about NSW politics corrupting health. And I wouldn’t mind an analysis of the federal budget, if Tim can stretch my $7 donation that far. I almost now regret withholding five bucks until after proof of publication, although I consider my $2 advance quite a windfall. Nah, he’s probably spent it already on beer. We all have, apparently. This entry was posted in writing and tagged croakey, Flippant, humour, Medical Observer, meta health, Wonky Health. Bookmark the permalink. 2 Responses to Crowd-sourced meta-health writing: wish I’d thought of it first. Brilliant as usual! 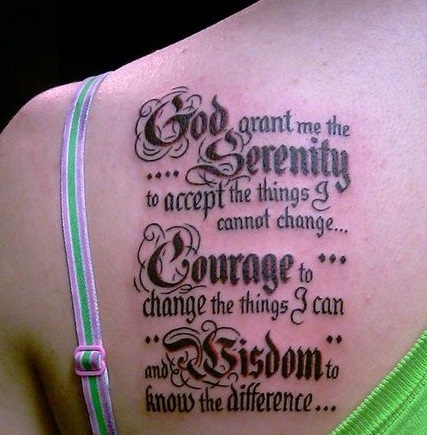 “Lord, grant me the serenity to accept the things I cannot change and grant my practice accreditors the wisdom to know the difference.” Hilarious!